Pavel Anatolyevich Sudoplatov, chief of NKVD special operations in World War II, gives a strategic overview of Soviet intelligence in the years leading up to the second military cataclysm that would devastate Europe in the twentieth century. The role of the organs of state security in Soviet history can only be evaluated after the Soviet Union ceased to exist. After Lenin’s death the country’s primary special service was reformed into the Unified State Political Directorate (OGPU). However, as before, it remained the apparatus for enacting political repression both inside the country and abroad. Alongside this, it is very important to understand the repression was viewed by the Party and Soviet leadership as a necessary, forced action, the goal of which was the suppression of political opposition and the strengthening of the Soviet state. Simultaneously the OGPU became what was uncharacteristic of the Cheka. It carried out the critical mission of providing information-analytical services to the country’s leadership. From the 1930s to the 1950s, without a corresponding conclusion by the OGPU-NKVD-MGB on the “factual,” as Lenin said, “state of affairs,” the Soviet leadership, as a rule, would not make any decisions on the cardinal questions of internal and foreign policy. The creation of foreign intelligence in the state security organs was dictated primarily by the necessity of carrying out counterintelligence work among the emigration abroad. Therefore, all operations against the emigration were initially executed by the OGPU’s counterintelligence section under the leadership of Artur Artuzov. And it is no accident that Artuzov, the chief of counterintelligence in 1930, replaced Mikhail Trilisser at the post of chief of foreign intelligence. Up to 1939 foreign intelligence was carrying out counterintelligence missions abroad as the main direction of its activity. Only in 1941, after the creation of the People’s Commissariat of State Security (NKGB) and the organization of the First Directorate (Intelligence) within its structure, was Soviet intelligence assigned the main missions of obtaining information about the intentions of the governments of leading capitalist nations, finding out the political plans of bourgeois states, and the acquisition of new technologies for Soviet industry by way of agent networks. Soviet intelligence also was to “actively back” the measures of USSR foreign policy as a major world power. But along with this there also continued the work begun in the GPU’s counterintelligence departments, that of detecting conspiracies and subversion directed against the USSR by foreign states, their intelligence services and general staffs, as well as anti-Soviet political organizations, and uncovering espionage and terrorist activity of foreign intelligence services on the territory of our country. 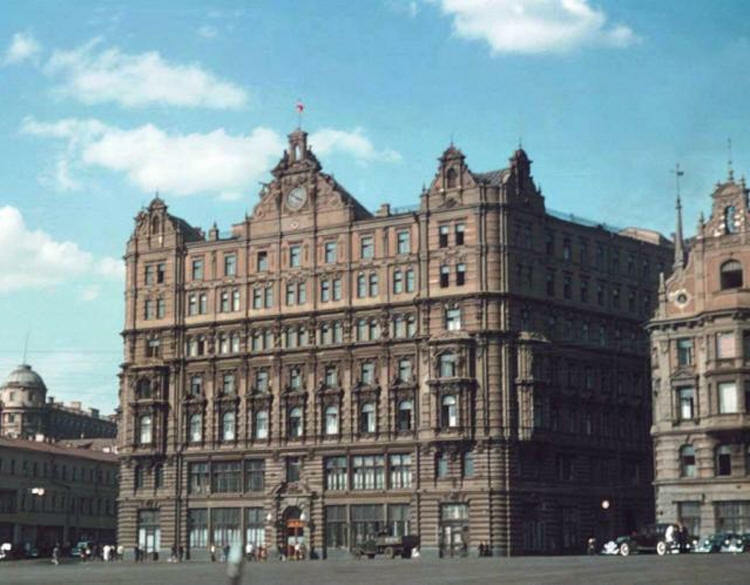 Lubyanka, NKVD headquarters, in 1939. The shift in missions was tied to the fact that by the beginning of 1941, i.e. on the eve of the war, the defeat of terrorist, rebel, and other anti-Soviet emigre organizations was basically completed. One can judge and ordain regarding the methods of this struggle, however, it is obvious that the active opposition, wishing war against the USSR and calling for cooperation with the leading capitalist powers, was decapitated. In particular, the leadership of the Russian Military Union (ROVS) was liquidated. It was wholly disorganized and already could play no noticeable political role in a Soviet-German war. Such an effect was also obtained after the liquidation of the top echelon of the Ukrainian nationalist movement (OUN). Dealing preventive blows to the leaders of the OUN and ROVS in the 1930s, Soviet intelligence subsequently deprived the emigration of the trust of leading capitalist states, i.e. the help that the intelligence services and military circles of Western nations were counting on as they planned a future military clash with the Soviet Union. For the leadership of Western intelligence services, it was completely obvious that staking hopes on an emigration weakened by us in its fight against the USSR, although important and capable of bringing damage to our country, nevertheless had no prospects. In a military struggle with the Soviet Union, they could depend only upon their own forces. The creation of agent networks and the use of agents of influence abroad that were based on the Comintern allowed us to resolve the important mission of obtaining needed information on the intentions of the opponent. Along with that it is worth keeping in mind that since diplomatic relations were limited and the rights of Soviet ambassadors abroad before 1939, especially before Molotov, were enormous and incomparable with the rights of ambassadors in the 1940s and 1950s, the importance of intelligence channels assumed special significance for the preliminary study of a number of major foreign policy actions executed by the Soviet government to strengthen the role of the USSR as a great power. We must say that coordination of the activities of the organs of foreign intelligence and special services was always the Achilles’ Heel of the Soviet state. Initially the role of coordinator of the work of military intelligence, the OGPU, the People’s Commissariat for Foreign Affairs, the Comintern and intelligence abroad was carried out by M. Rozenberg, official of the Party’s Central Committee and known as the first representative of the Soviet Union at the League of Nations as the deputy to its secretary, as well as the first ambassador of the USSR to republican Spain. But the issue of coordination of intelligence activity came not to assigning someone certain missions supplementary to the functions of military intelligence, the OGPU, and diplomacy, or to maintain competition between the special services. The reality at the time was that in the main capitalist countries in the 1920s and 1930s, unified residencies of the OGPU and Red Army intelligence were active, with both closely cooperating with the Department of International Liaison – the illegal apparatus of the Comintern. During the first phase this helped create a powerful foreign agent network. However, the unified Red Army-NKVD residencies on the eve of the war, and when it began, proved very vulnerable. Cut-outs and couriers sometimes knew agents that belonged to various Soviet special services. And the failures of Soviet intelligence at the end of the 1920s and beginning of the 1930s in Poland and China made us completely reject work structured within unified military-political intelligence residencies in 1939. Artur Khristianovich Artuzov, “grandmaster” of Soviet intelligence. A crucial moment for understanding events of that time was the correlation of military intelligence’s activity with that of foreign intelligence. Let us take the fate of the famed chief of Soviet intelligence who came from counterintelligence, Artur Artuzov. 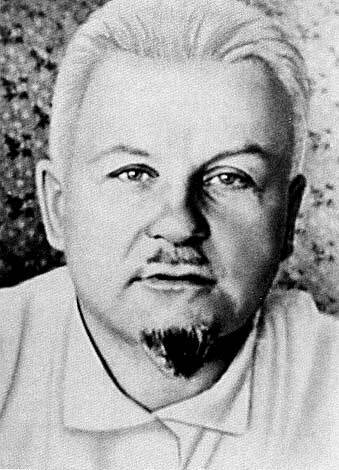 It is somehow written in passing that Artuzov, in operational correspondence “Alekseev,” headed both the Intelligence Directorate of the Red Army and INO (Foreign Department) of the OGPU. How did this happen? After the failures in Europe and China, the national leadership looked for the most suitable form of coordination of intelligence activity. In 1930 the Bureau for Coordinating Intelligence Activity with Rozenberg at its head was dismantled. At that time at a session of the Central Committee’s Politburo, the activity of Soviet foreign intelligence was subjected to a multifaceted critical analysis; moreover, the OGPU’s work “outside the cordon” received an unsatisfactory evaluation. After the disclosure of Blyumkin’s treachery, Trilisser was replaced with Artuzov. In light of the change in foreign policy environment, the decision was made to review priorities in intelligence work. The White emigre movement, opposition to which was the main mission of the OGPU in the 1920s, ceased to present a first-degree threat to the USSR. The creation of dependable agent networks, their penetration of the vital objects of bourgeois states, and their capability to attain reliable information of a political, economic, and scientific-technical nature were recognized as the most critical directions in the work of the OGPU Foreign Department (INO). In 1933 the structure of the the OGPU’s INO central apparatus was delineated. In 1934 at the Politburo, the issue of the work abroad of the Soviet special services – the Intelligence Directorate of the Red Army and the OGPU Foreign Department – was again raised. To develop a plan for special operations abroad, there was formed a permanent commission of the chiefs of these services. The chief of the OGPU INO Artuzov was appointed to simultaneously be the deputy chief of Red Army intelligence. In 1934 in the USSR, there existed four independent intelligence services. These were the NKVD INO, the Red Army Intelligence Directorate, the Comintern Department of International Liaison, and the Special-Purpose Special Group (SGON) of Yakov Serebryansky (“Yasha’s Group”). In these conditions Artuzov was also appointed to serve as the deputy chief of military intelligence. Why? Because the matter concerned the necessity of a cardinal strengthening of counterintelligence coverage for our intelligence work abroad. Artuzov’s experience and his knowledge of the Russian emigration, which was one of the main sources of formation of our agent networks, were most of all needed during this period. Soon Artuzov was replaced by Avram Slutsky as the chief of the INO. Artuzov would return to the NKVD again in 1937 as a consultant, a rank-and-file officer. Let’s take the period of repressions. After all, it is not accidental that in 1937 the Red Army Intelligence Directorate was led by Senior Major of State Security Gendin. The fact of the matter is that because he headed military counterintelligence at one time, Gendin had a rather good conception of the work of the military intelligence apparatus and knew of compromising materials on its main officers. During the war years we also searched for forms of organizational cooperation in intelligence work, both along the lines of state security and military intelligence. I had the occasion to head not only the Fourth Directorate of the NKVD-NKGB, known as the sabotage-intelligence directorate, but also simultaneously throughout the course of the whole war, with the exception, it seems, of six months in 1942, be the deputy chief of all foreign intelligence for state security right up to June of 1946. This was required by the necessity to coordinate the activity of the special services, since work against the opponent behind enemy lines was based on the use of the entire potential of human intelligence, operational, and technical possibilities of the NKVD-NKGB both inside the country and abroad. Work Translated: Судоплатов П. А. Разные дни тайной войны и дипломатии. 1941 год. — М.: ОЛМА-ПРЕСС, 2001. Many elder Intell specialists believe that the ILD was/is the most important and most secretive of all the Russian Intell organs Its mission was to organize the counter revolution. Thereby identifying hostile emigres around the world. It’s functions were carried out by a Russkaya Kolonii officer assigned to every embassy except London. Later called the Soviet Kolonii officer these Ild Agents supervised penetration investigations of both KGB and GRU. Both civilian and military agents of ILD were subsumed into Department S. Putin headed dept S of the SVR-RF and used its capabilities to seize and hold power.